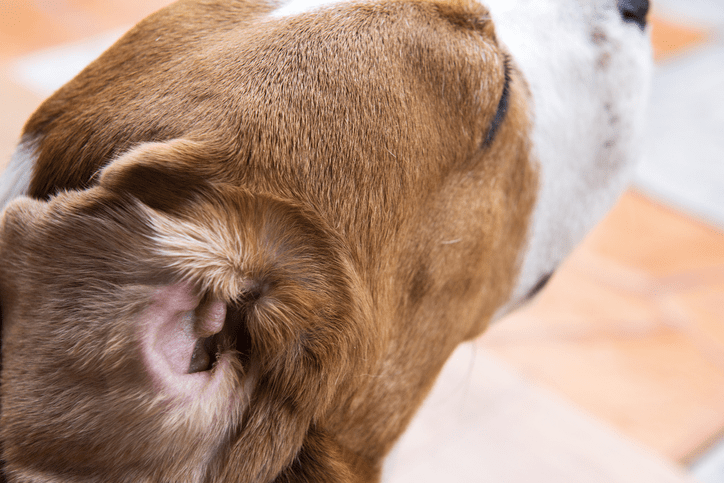 Ear infections in dogs are pretty common. Often, the way your dog’s ears lie will determine how often they get ear infections. Dogs with ears that lie flat (or floppy ears) will have more moisture in their ears, along with a warmer environment, creating a breeding ground for bacteria. Other dogs more likely to get ear infections are breeds that love to swim (English Setters, Irish Setters, Golden Retrievers, Irish Water Spaniels) and those with excess hair in their ears (Bichon Friese, Maltese, Shih Tzu, Poodle, Lhasa Apso, Schnauzer). Recognizing the signs of an ear infection and getting treatment promptly is important. Ear infections that go unchecked can lead to deafness. 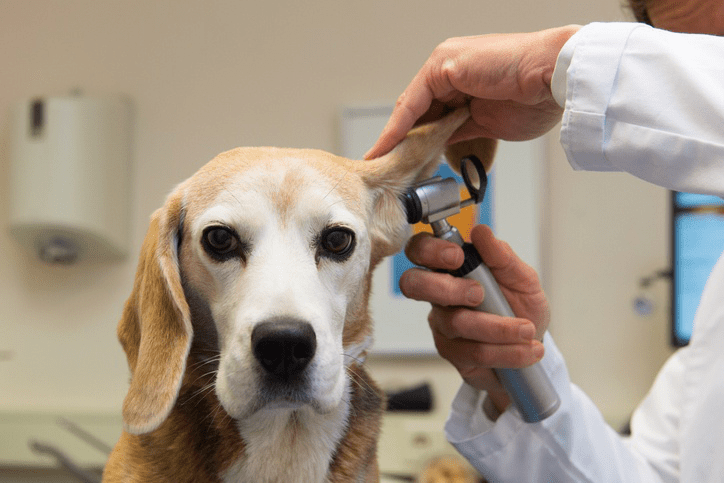 Even if you aren’t sure of the cause or see the symptoms, dog ear infections especially sudden onset infections need medical treatment right away. Always be on alert for the signs of dog ear infection and potentially severe ear problems and antibiotics and cleaning the ears regularly is the only way to clear up the problems. If an infected ear goes untreated, in severe cases your dog could suffer from facial paralysis, deafness, eye issues, vestibular disease or other types of disease. The vestibular system—how your pet’s balance is maintained—is found in the middle of the brain and peripherally to the middle and inner ear. When you take your dog to the vet or technician, they will clean your dog’s ears thoroughly, then use prescription drops, cream, or ointment in the affected ear(s). Home care is essentially the same—keep the ear clean and apply the prescription drops, cream, or ointment as directed. If your dog’s infection is severe, it may require an oral antibiotic, steroids for inflammation, and pain medicine for your pet’s comfort. Keeping your dog’s ears clean is a critical part of the treatment. Use a cotton ball or gauze with a cleaning solution. Take your dog back to the vet in a few days. If it is a simple ear infection, it should clear up within 10 days. Other, more complex infections, can take up to 30 days to heal. It is always better to avoid ear infections if you can. Clean your dog’s ears regularly—more often if he has floppy ears with high moisture factors. Cotton balls or gauze are the most effective way to remove deposits from your dog’s ears. Always be proactive, cleaning your dog’s ears after grooming or bathing can help prevent more infections. The safest way to clean is to use vet-approved cleaning solutions, applied with pure cotton balls. Ask your vet about how often you should clean your dog’s ears. Keep those pooch ears dry. After a bath, grooming, or exposure to rain or snow, carefully dry your dog’s ears and the surrounding area. If your dog has a lot of hair in his ear canal, try to keep it trimmed. If your dog doesn’t like you coming at him with scissors, leave it to your groomer. 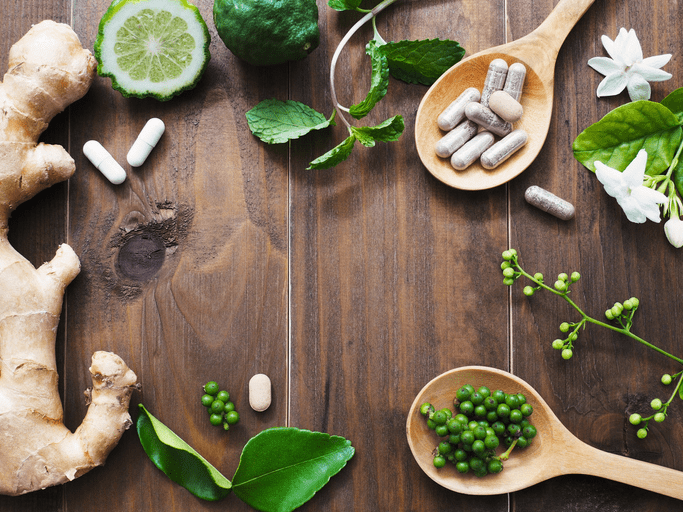 If you don’t want to use prescription meds on your dog, there are several other choices if you want to use a natural way to treat your dog’s ear infections. 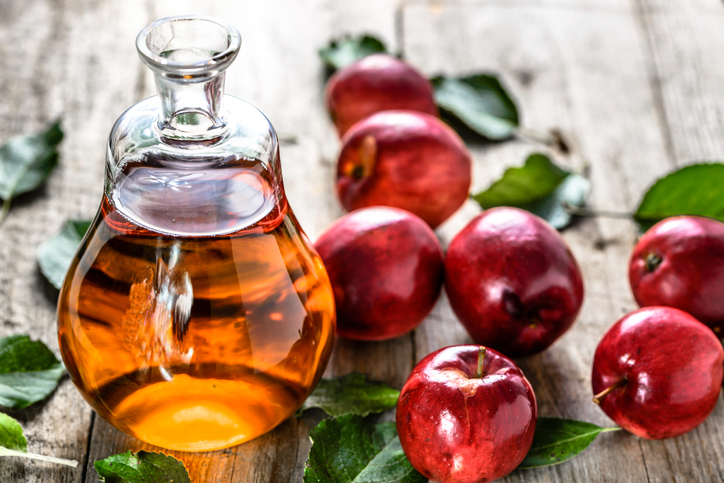 The acetic acid in vinegar removes debris from a dog’s ears. It also kills bacteria and yeast. However, don’t use the vinegar if your dog’s ears are red or painful. Mix the apple cider vinegar 50/50 with distilled water. Soak your cotton ball or gauze in the mixture and wipe out your dog’s flag as well as the ear canal. 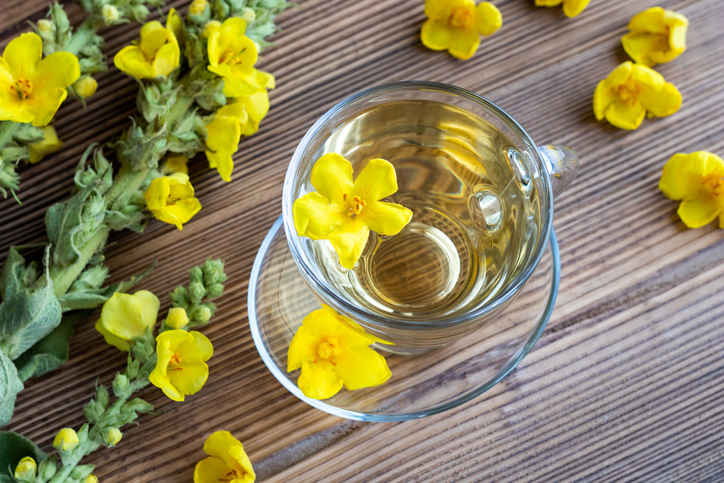 This plant contains antibacterial properties that kill your dog’s bacterial ear infection. You can order the leaves online or get them at your local health store. The premade infused oil is also available. Soak a cotton ball or gauze in a mixture of crushed leaves and distilled water or use one to two drops of the infused oil. 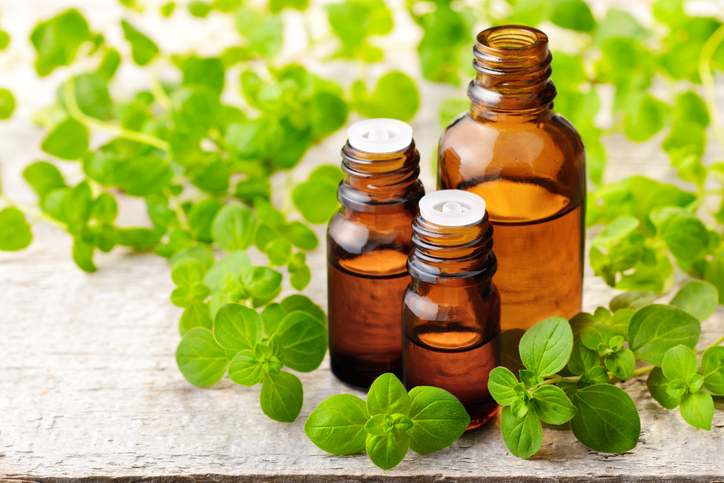 Oregano oil is a terrific, natural antibiotic. Always dilute it or you could irritate your dog’s skin. Add one drop to ½ oz of aloe vera juice. Put one to three drops into your dog’s ear and wipe with gauze. You can also soak a cotton ball and wipe the ear flap. Coconut oil is both anti-fungal and antibacterial. 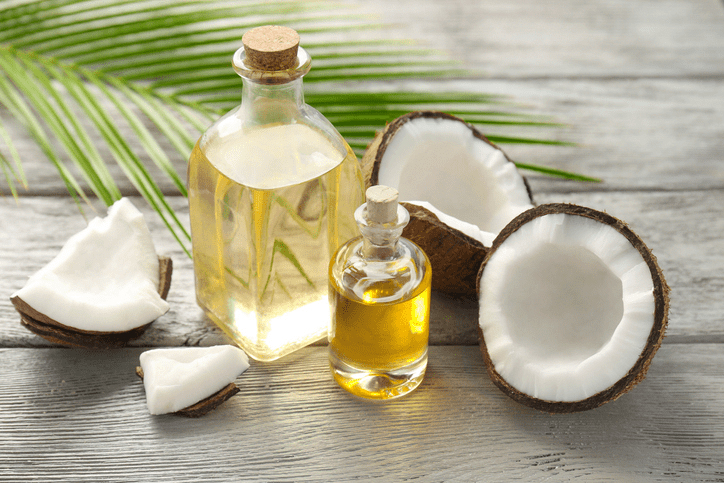 There are many recipes available for using coconut oil. One that can be extra soothing is to slowly and carefully warm up two tablespoons of the oil on the stove until it simmers. Let it cool to avoid burning your dog’s ears. 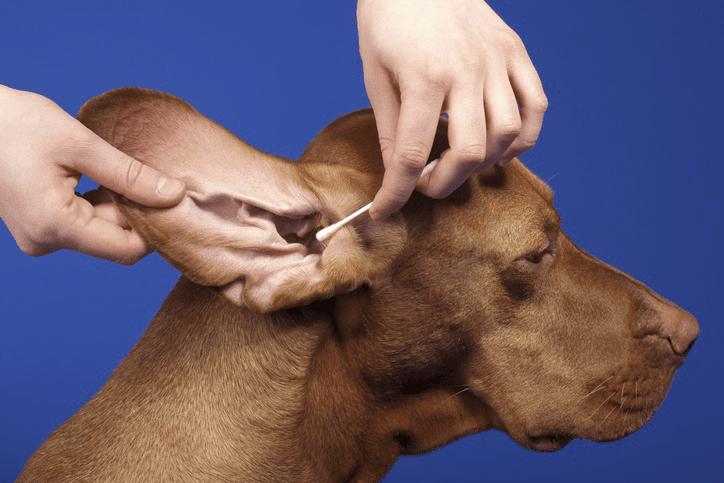 Use a dropper to place the oil in your dog’s affected ear. Alternatively, dip a cotton ball or gauze into the oil and wipe your dog’s ear with it. 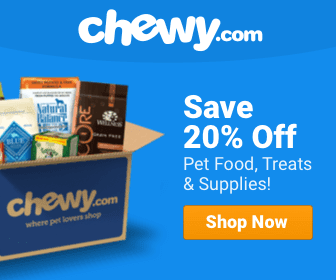 These natural solutions must be applied to your dog’s ear at least two to three times a day, for five to seven days, in order to kill the infection. After the infection has been eradicated, you can always keep some of these oils and natural mixtures on hand as a regular ear cleaner. Whether acute or chronic, a dog ear infection should always be cause for concern. Untreated infections can lead to deafness or other chronic conditions. No one wants a sick dog. Keeping your dog’s ears clean is the best way to avoid ear infections.